In vaccines we trust, right? Well actually no. Read the news today and you’ll see that trust in vaccines is dropping. People no longer feel fully informed and it’s often hard to know what to do when it comes time for you and yours to get vaccinated. I found this especially so as a first time mum. Like most of us I have almost nil medical training. Emily, mother of 2: I had all my vaccines while pregnant because I felt it was the best way to protect my unborn child and I will continue to vaccinate my children. Victoria, mum of 4: There was never the option to be vaccinated when I had my children, but if there had been I don’t think I would have taken it up. I was so ill all the way through my pregnancy and on anti -sickness medication. I think the thought of anything else in my body would just not have sat well with me, at all. Connie, mother of 1: I really worried about all the conspiracy theories but, I had mine done in the end as my research weighed in favour of the benefits. My son is fully vaccinated. 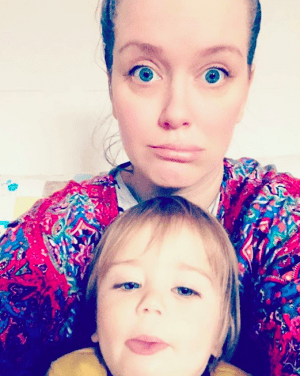 Rachael, mother of 3: I had both the flu and whooping cough vaccine, it did worry me to be honest but, at the end of the day the pros out numbered the cons. Michelle, mother of 2: I wouldn’t put the toxic chemicals in my kids dog or myself. Naomi, mother of 2: With my first child I had the whooping cough vaccine, in hindsight I had it done as all the literature given to me made me feel I didn’t really have the choice. However, I’m better informed now and I do think it is the best thing to do. I didn’t have the flu vac the first time around as my pregnancy didn’t fall within the peak flu period, my second pregnancy did though and although I ‘ummed’ and ‘ahhhed’ about it, I had my flu jab as I suffer from bad morning sickness and had already had a chest infection during the first weeks of finding out I was pregnant, this combined with having a toddler to chase after meant I just couldn’t stand the idea of getting ill again so opted to be vaccinated. We’ve vaccinated the whole family, tomorrow my son will have his flu shots. I’m sick of everyone getting sick anything to reduce the amount of illness we have at home is always a winner to me. Rachel, mum of 1: Here in Australia it’s considered unsafe to jab pregnant women with some types of vaccines, so I had to wait until after I gave birth for my MMR vaccine, even though I was at risk of catching the diseases while I carried! I also had to wait for the whooping cough vaccine too. I had an amazing obstetrician here, so I trusted everything she said and everything she told me to do. In saying that, I was totally against the gestational diabetes test, as they make you fast overnight and then drink a bottle of flat lemonade with far more than your RDA of sugar in order to take blood samples to see how your body processes the massive sugar intake! Caroline, mother of 2: After researching I decided the risk associated with the vaccine were very rare and minor compared to the effects on me and my baby if I caught the disease. Especially being pregnant in flu season. Vicki, mother of 1: I just leave it up to the experts to say what they recommend to keep me and bub safe and I just go with that! Isavella, mother of 2: In Greece (where I live) no vaccines other than for flu are offered to pregnant women. I wasn’t pregnant with either of my children during flu season so I was never given the injection. If I had I still don’t think I would have had it done; I try to be as natural as possible and don’t like the idea of foreign substances and chemicals being put in my body. I would just eat well instead and stay away from busy public places. For other vaccines I’m still unsure. My daughter is vaccinated but it made her feel so poorly each time, I don’t know if I want my son to go through the same. Donna, mother of 1: I had my vaccines while pregnant. The benefits will always outweigh any risks and coming from a medical background I understand the stringent process followed for any treatment/vaccines/medicine being introduced to the public. They would not be offered if it wasn’t thought that they were beneficial to the health of the baby. That said, GP’s/midwives etc often don’t fully explain each vaccine to parents to enable them to make an informed choice. I’m not a very divisive blogger, I’ll share an opinion or two. But I’m more about helping people gather information to make their own choices. Your kids, your family, your choice, right? Well wrong actually not vaccinating your children affects more than just your household. And as well within your rights you are to not vaccinate (if you so decided), it is worth taking into account the possible repercussions such a decision might have on a larger scale.